So, here is my request to all podcast apps that have their own crawler: please follow Overcast’s lead and add subscriber count to your user agent string! It’s a relatively small2 investment that will yield an outsized proportion of goodwill coming your way. 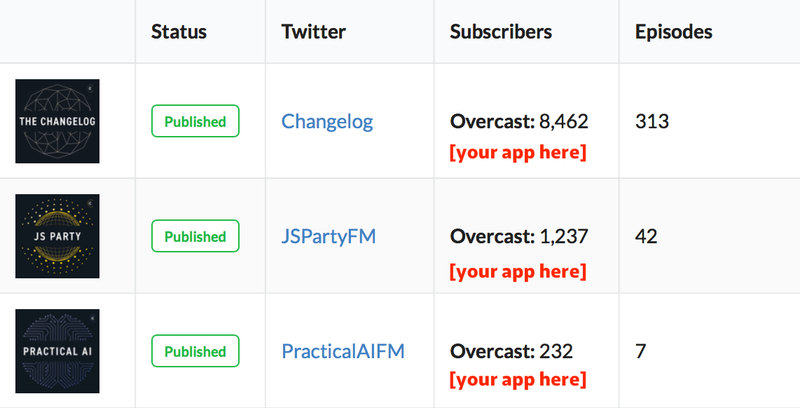 If/when there’s a critical mass of podcast apps reporting, we can start building open source tooling around this data so more podcasters can benefit. Maybe podcasting platforms like Transistor, Fireside, and Anchor will bake reporting right in. It will be so glorious!